Should You Make Turmeric a Part of Your Beauty Routine? We consider ourselves to be not only well-informed about beauty products we can buy in stores, but about beauty products we can cobble together at home, too. The hottest new DIY innovations, tried and true ingredients—whatever it may be, we want to put it in our faces. 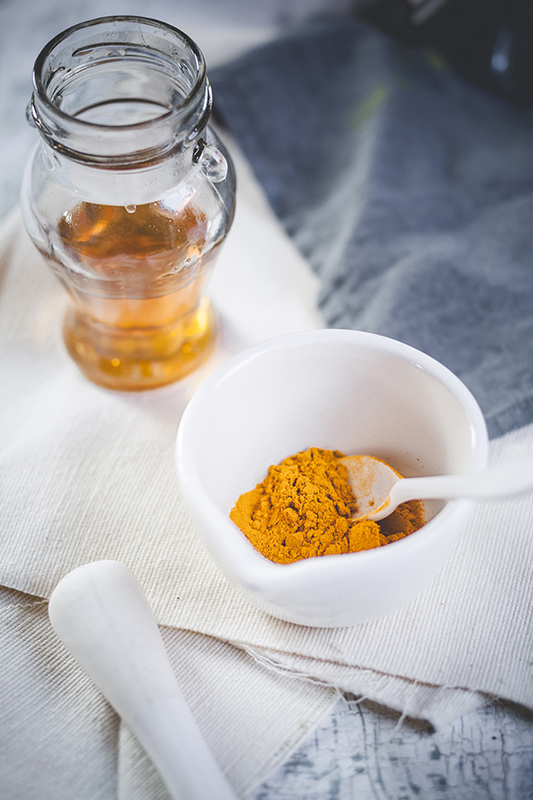 Time and time again, we’ve found ourselves coming back to turmeric as a key ingredient in our DIY skin care preparations. Turmeric is widely considered the beauty secret of modern Indian women, who tout the spice as an indispensable addition to any DIY recipe. But should you be adding turmeric to your beauty routine? Let’s discuss. Frequently used in culinary preparations, turmeric is best known as a key ingredient in curry and countless other South Asian and Middle Eastern dishes. It’s a herbaceous plant of the ginger family, but it’s boiled, dried, and ground into a fine orange powder before being used as a spice. Beyond its uses in food, turmeric is one of the oldest folk medicines out there. It has been used for thousands of years as a remedy for everything from wounds to liver ailments. Curcumin is largely to thank for that: the active compound is believed to possess anti-inflammatory, antioxidant, antiseptic, and antibacterial properties. Well, every skin woe on your list, pretty much. A quick Google search will turn up countless—and we mean countless—DIY skin care recipes touting turmeric as the star ingredient. Applied topically in conjunction with other ingredients, turmeric’s anti-everything nature can quell serious breakouts and dull, lackluster skin as well as fine lines, dryness, and even sunburns. We can’t attest to its rumored medicinal benefits, but when it comes to taking care of your skin, we’d consider turmeric a cure for all that (aesthetically) ails you. You use turmeric as you would any other beauty product that comes from your kitchen cabinet: in a DIY preparation, of course. Mix it with honey and slather it on your face for a complexion-brightening treatment that benefits all skin types, or with plain yogurt for a probiotic-rich mask that gently sloughs away dead skin cells and stops acne in its tracks. Not only does turmeric make a useful addition to any beauty routine, but it’s also totally affordable and can be found at just about any grocery store. Inexpensive, accessible, seriously versatile—there are so many reasons turmeric should be your new homemade beauty mainstay.